A Kentucky mom is expressing outrage after viewing surveillance video of a teacher dragging her son through the hallway at school, an incident she says left him bruised and traumatized. Jo Grayson found it hard to contain her anger in an interview on Sunday after the Fayette County Public Schools released footage showing a teacher and a nurse dragging her 11-year-old son, Thatcher, through the hallways of one of its schools. At one point during the video, Thatcher, who has autism and is nonverbal, appeared to scream as the employees dragged him up a flight of stairs, while his service dog stood helplessly nearby. 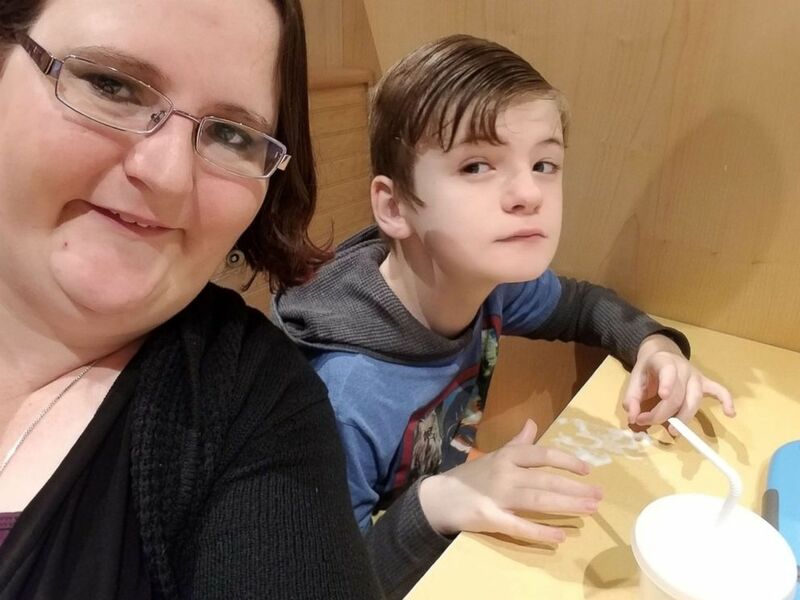 Jo Grayson, left, said her son Thatcher, right, was dragged by a teacher at his school on Sept. 14, 2018. “It was terrible because it’s my child,” Grayson told ABC News. “I mean, I don’t understand how anybody could do that to any child, regardless of whether or not they have a disability. “I was initially told that he was having a meltdown, but the truth is, he wasn’t having a meltdown,” she added. Grayson said the school notified her via text message when the incident occurred last month, but it never mentioned that her son had been dragged. 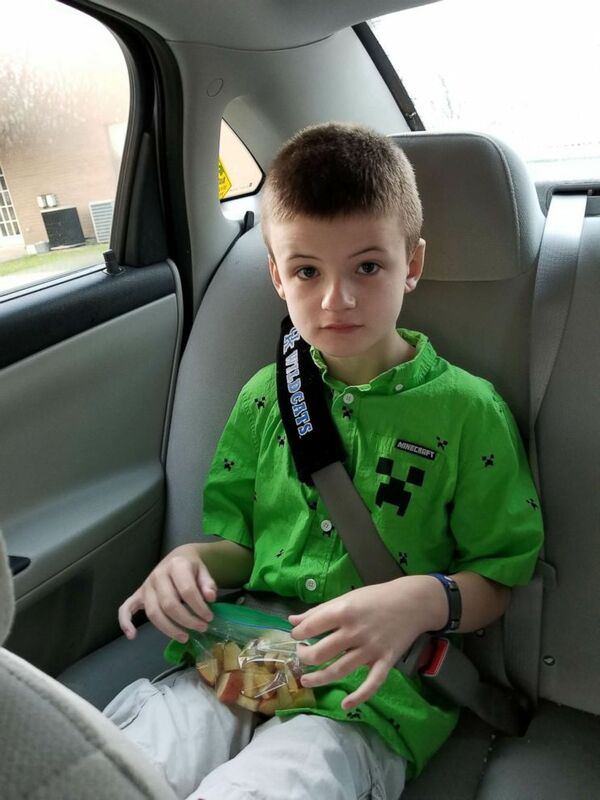 “I got a text from the teacher that said that she and the nurse had to pick up my son,” Grayson said. “I was helping him dress because he needs a lot of help and I took off his shirt and I noticed all these marks on him. “I got a call from somebody from Child Protective Services ... and she’s the one who told me what had actually occurred in the video -- that he’d been dragged down the hallway and some of the specifics about what were in the video,” she added. Officials released footage of an incident that took place at the Tates Creek Middle School in Lexington, Kentucky, on Sept. 14, 2018. School district officials said the incident took place at the Tates Creek Middle School in Lexington, Kentucky, on Sept. 14, and escalated when Thatcher refused to stand up in class. School employees are trained to transport and/or restrain a student if they’re believed to be a danger to themselves or others, but the teachers didn’t follow the correct procedures in this situation, the school district said. 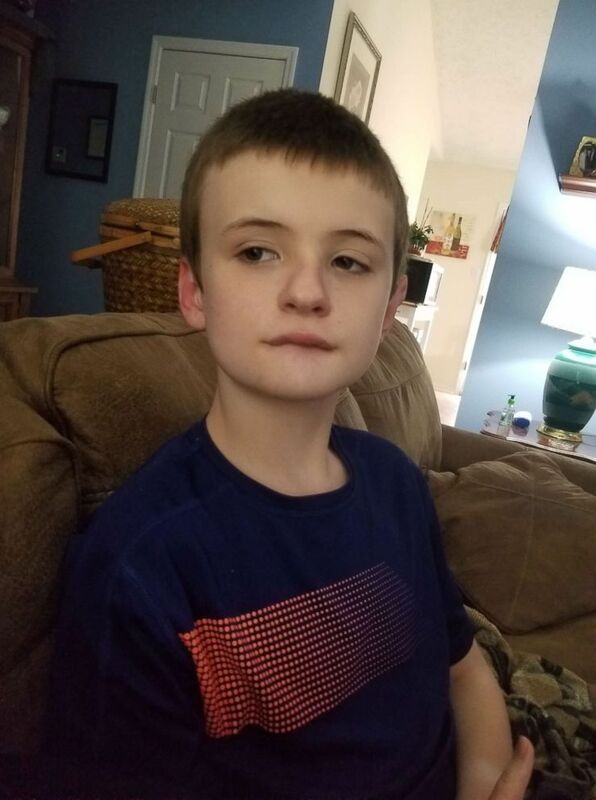 School officials in Fayette County, Kentucky, released video, showing a teacher and a nurse dragging 11-year old Thatcher Grayson on Sept. 14, 2018. "Incidents of this nature –- in which an employee is acting outside of the district’s expectations and out of line with the training provided –- are isolated,” the Fayette County Public Schools said in a statement. “Our training is very explicit that physical restraint is a last resort only to be used when a student is a danger to themselves or others. “The training also shows employees the proper ways to hold or transport students. In this case, neither of those standards were met,” it added. School officials refused to disclose “details of individual personnel matters,” but said the teacher is no longer an employee. It did not say if the nurse, who is employed by the health department, had been penalized. Fayette County Public Schools released video, showing a teacher and a nurse dragging 11-year old Thatcher Grayson on Sept. 14, 2018. Grayson, on the other hand, has contacted a lawyer and is planning to purse legal measures. She said she agrees with the district's decision to dismiss the teacher, but she ultimately blamed the incident on poor training. ABC News’ Kelly Landrigan contributed to this report.